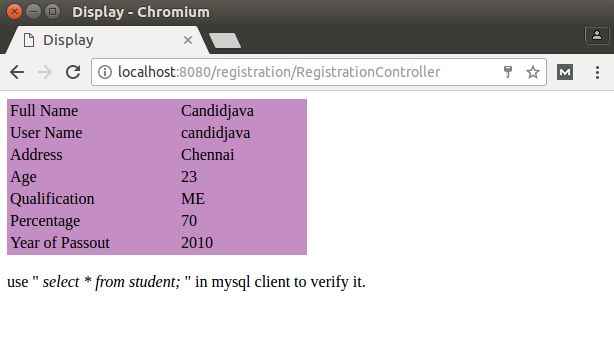 use " <i> select * from student; </i> " in mysql client to verify it. 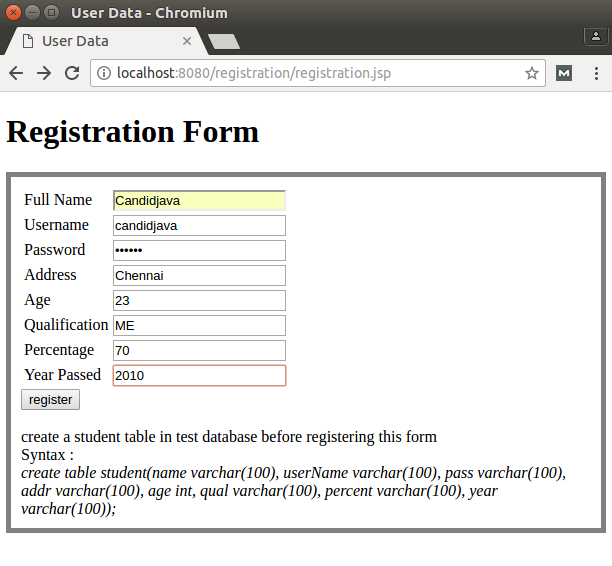 Please give me edit and update code above jsp and servlet DB connectivity registration example. Please fast send me code,because i work my project regarding. hi this ranjith data it will retrieve but did not store the data in mysql .